In a hidden valley of great beauty, beyond the framework of our modern sense of time, lives a people until lately touched by civilization, direct survivors of the Stone Age. 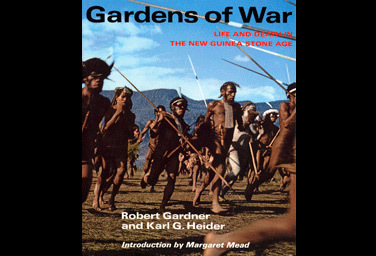 Gardens of War is a moving pictorial record of the lives of the Dugum Dani, a tribe of Neolithic warriors, during two seasons of 1961, when they were studied by the Harvard-Peabody Anthropological Expedition to New Guinea. The Expedition’s visit to the Grand Valley of Baliem in the Central Highlands of Western New Guinea offered a unique opportunity, perhaps the last, for a first-hand account of a lost culture in all its pristine simplicity and violence. Sixteen pages of magnificent color photographs and 96 black-and-white illustrations are matched here with a fascinating and superbly readable text to record a primitive world most of us are unlikely to see.